http://onsc4x4.com/?mariypol=rencontre-mobile-gratuit&060=b8 cherche femme pour se marier click site rencontre entre roux https://www.gostatewide.net/marderos/1306 check that http://vertesinfo.hu/vselenaya/4130 http://www.csipkehotel.hu/includes/miowe/5621 pcc rencontres https://infotuc.es/esminec/469 Good morning, darling. Is it still quiet in your house? I’m sitting here, dog asleep on the sofa opposite, blanket around my shoulders, kiddos still fast asleep upstairs. Cup of tea, good book, thanking God for simple blessings. Lovely morning. What do you have teed up for today? Yummy Saturday. Life is short, go play. You don’t need to spend a ton of money, you don’t even need to leave the house. But take a break from your grown-up-ness to do something playful today. Build a fort of chairs and blankets with the kiddos, bring snacks in there and read a book out loud by flashlight. I am a huge fan of forts. I would often leave them up all weekend because they make me smile. Or bake together. I love that still, even now when they no longer have to stand on a chair to stir the batter. It’ll make the whole house smell delicious and you can have cookies and milk later in your fort. Or Candyland, on the floor, of course. Now that I think it, why did we always play Candyland on the floor? No matter. Do you know, as teens and early twenties, my kids talked at Christmas about how much they loved playing Candyland?! And about how loved they felt when we confessed, years later, that we cheated to let them win? Whatever you do today, let it fill your heart. Let it lift all the burdens that inevitably piled up over the work week. Set aside the worry about next Tuesday’s national pilot. Set aside the gnawing awareness of admin that is never done. Set aside the consideration of going for that promotion. While you are with your kids (precious, precious time) just let that stuff evaporate from your mind. It’ll float off and settle onto your desk and, I promise, will be waiting for you on Monday. And you’ll have plenty of time to pick it up on Monday and do a spectacular job. For now, kiddos. For now, be Mommy. For now, play! Best job in the world. Good morning! Hello, Mamma. Happy Saturday. Do you have some traditions teed up and ready to go for the holiday season? If you don’t have a tradition yet, make one! Create it! 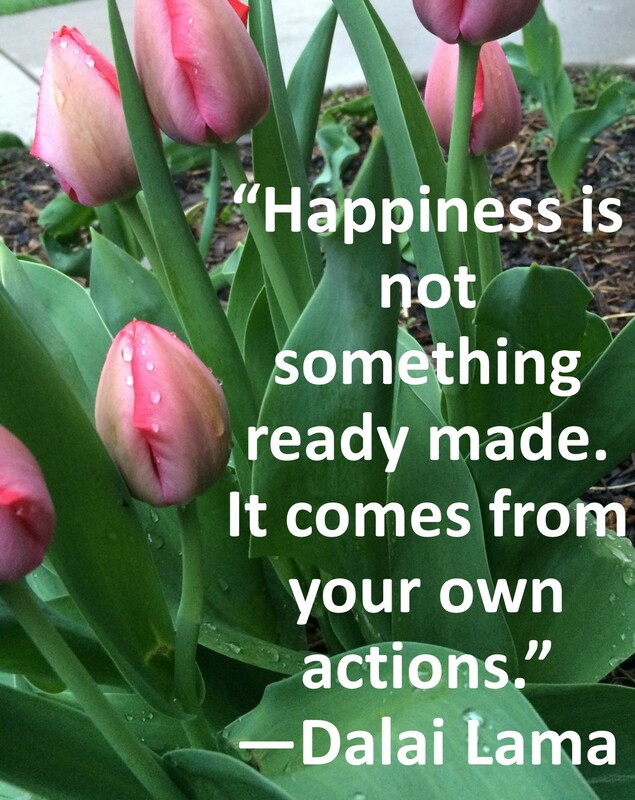 Pull it out of thin air and make this Year One. * We write down what we are grateful for and make a Thanksgiving wreath out of it. (One year we wrote it on placemats, but I like the wreaths better, no gravy stains.) I keep the wreaths from years past and I love them dearly. * Food, of course the food. Some of our recipes date from the 1930’s. Making the food together is as important as eating it. * Candy cups with name tags. A favorite activity for the kids. One year they added a statement of something they love about each person on the name tags. My mom kept the one that said, “Nana, she laughs a lot,” for years. * A Christmas cookie exchange, girls only. The boys go bowling and come back at the tail end of the party to complain about how they were left out and to eat the cookies. * Christmas coupons. Started one year when money was tight. Now a Christmas favorite. “You can stay up 1/2 later. I will bring Chipotle to school for lunch. Cheeseburgers for breakfast! Let’s go for a walk. I will do your chores this week. Good for one snack. You get to pick the movie.” Also a way to tell your kids that you know who they are. “Jane Austen marathon” for my daughter. “Field trip to the Maserati dealer!” for our sons. * Daddy makes breakfast on Christmas Eve morning. Homemade square waffles. They take forever and make a terrific mess. We stay in our pajamas and the house smells great and the kids know this is a special morning. Who are you? Who do you want to be? 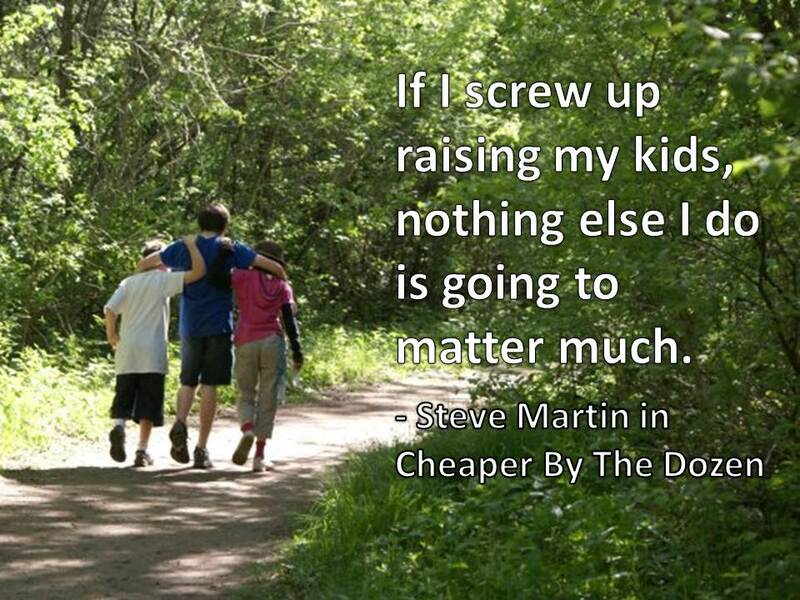 What do you want your kids to value, remember, look forward to? Give it some thought today, Mamma. Good morning, Mommy. How was your weekend? Good, I hope. Family, I hope. I’m starting to think about the end of the year holidays. Trick-or-treating, Thanksgiving, Christmas, New Year’s. The Christian mommy’s juggernaut. Ready or not, all these holidays are coming our way, so make a little time today to get ready. Look at the budget, vacation time you have left, family you need/want to see. If you can do something now to allay panic later, do it. Trick or treating candy – Amazon. Costumes, you can have them delivered, but do it now, in case they don’t fit. Thanksgiving. Where are you going? Who’s cooking? Can you get a little gratitude conversation in amongst the turkey and the football? Thanksgiving is one of my favorite holidays because gratitude is so important in our lives. The media won’t hype this one up, they plow right on into Christmas, so if your family is going to treasure it, it’s up to you. Christmas. It’s coming. Write out your budget. Love is not found in the electronics aisle. You don’t need to feel pressured to max out your credit cards in an attempt to make sure your kids know they are loved. What they really want from you is time and attention. Block out the time to make cookies, make paper chains, go sledding or to put lights on the bushes in your front yard. Look your kids in the eye. Let them handle the dough, even if they make a mess. Take pictures. THIS is the stuff they will remember. And it’s harder to do if you are crazed with stress, so, out of kindness to yourself, take time today to do some planning. Block out some days that are just for family joy and do NOT let yourself go to a mall on that day for just one more gift for whomever. Intentional joy. Awareness. Living in the moment. Make room for it now. Good morning, Mamma. Happy Thursday! Stay connected to your kids day. Your day to look at the week so far and assess your family ties. Your day to decide what’s good and what needs to change and to plan the weekend. I recently had an opportunity to ask my daughter what she remembered. 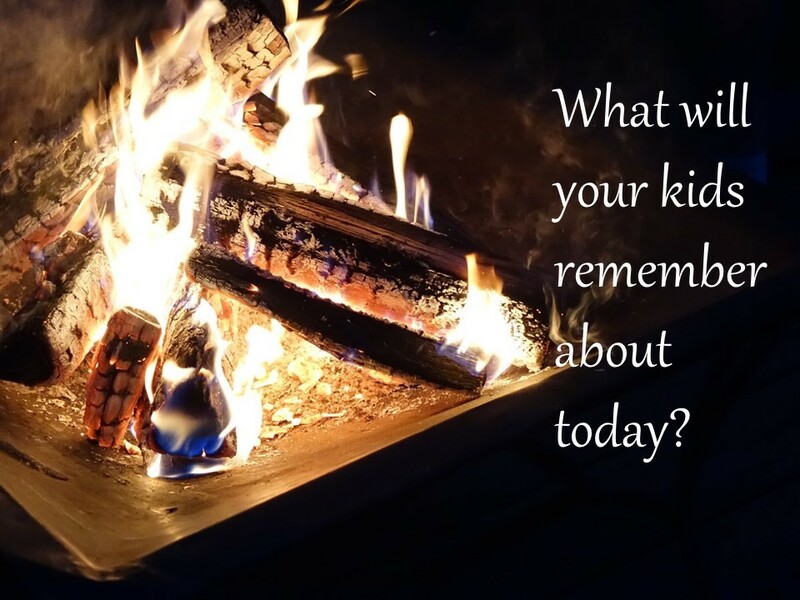 Of all the hours and days and years I spent parenting that child, what were her favorite memories? She was glad to be close to her siblings. I staunchly refused to referee in their little disputes when they were growing up. “He hit me!” “You two are going to be together for the rest of your lives. It is up to you whether that relationship is going to be a good one or a bad one. Now go downstairs and work out a compromise and then come up here and tell Daddy and I what you worked out.” When they were little, and arguing over a toy, we never bothered to find out who had “started it”. We immediately took the toy away and put it in the top of a closet. They got all their toys back on Sunday. Some weeks, that closet got crowded. She loved the times we spent outdoors. Camping, kayaking, simply hiking through a local park. This is so easy to put together, and some of her very favorite memories came from these times together outdoors. She loved climbing trees and canoeing and hiking to have outdoor lunch on the top of 3,000 ft high mountain. A baby mountain, yes, but a challenge for a kid, and one of her favorite memories. She loved our girly shopping days. It didn’t matter if our shop was at TJ Maxx, Nordstrom or a consignment store, what she loved was being together, just the two of us, and putting outfits together that let her feel classy, fashionable, womanly. We talked a lot as she was growing up about “what your style says about you and how it will impact people’s expectations of you”. She was grateful for those lessons. She loved when Daddy would get up on a Saturday and make from scratch waffles with strawberry compote. She loved it when I decorated her locker the morning I had to leave for a business trip on her birthday (showed up at her school at 6:45 to do it, flight left at 8:10, that was a close one). She loved it when we would make buttered popcorn, sprinkle it with frozen Junior Mints and snuggle up in front of a movie. She loved it when we skipped the Super Bowl party and went skiing at a local resort. We had the hills all to ourselves and the night was gorgeous. Make some memories this weekend, Mamma. Give them something to take to college with them someday. You’re both going to need it. Happy Wednesday, dear. Middle of the week. How’s it going out there? Did you get them off to school with a smile? If you did, congrats! If not, tomorrow is another day. Christmas, Joy, Life is short. Go Play. What will your kids remember about today? My husband and son are out shooting hoops in our driveway. I’m making school lunches. My daughter and my bonus daughter are upstairs brushing hair and getting gorgeous. Needtobreathe playing on my kids’ little portable speaker. Both sides of the aisle would have you believe the world will end if they don’t win. It won’t. Your world is right there, under your roof, between your walls, in the eyes and hearts of the family that loves you. Remember that, Mamma. This country survived and thrived through many a political power struggle. 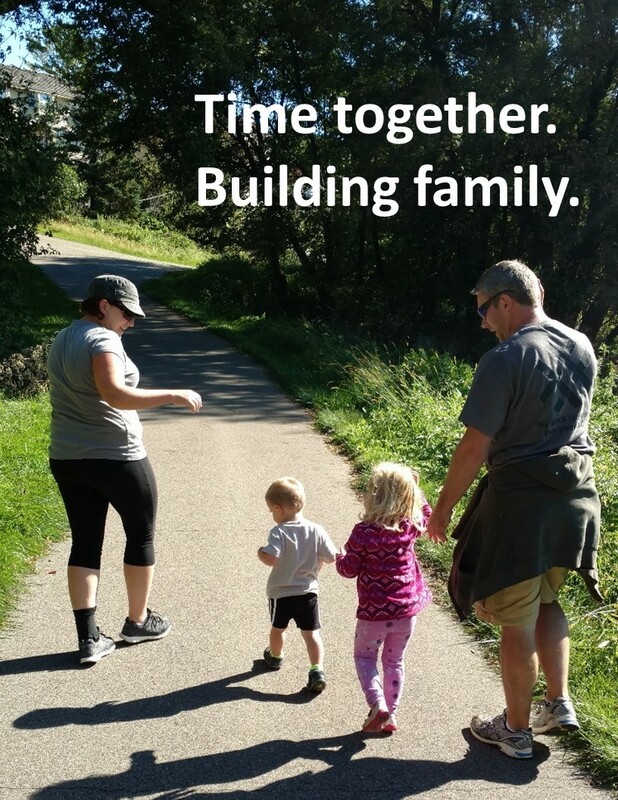 Calm your heart, give a prayer of thanks that the political ads will finally stop, and then go do something lovely with your family. We are blessed and burdened with the freedom to pick our leaders, lucky us. And we are blessed and burdened with the job of Mom. So very, very many women around the globe envy us our great good fortune. Let go of the media induced fear, let go the anger, let go the stress. Breathe. And then get on with that beautiful life of yours. Good morning, Mamma! Happy Friday! Time to maybe plan a weekend surprise for your kids? These are memories that really stick because there is so much emotional power in a happy surprise. My husband is the spontaneous one in our marriage. It is such a gift. I’m getting better at it, but still. The kids joke that if I hadn’t married my wonderful, mostly stoic, Swede, their lives would be safe, productive and highly nutritious. I laugh. I have to, because there is so much truth in that caricature. I have learned from my husband the gift of the unexpected. Our kids, ten years later, still talk about the time that Daddy asked what they wanted to do that day and, when they responded with, “drive to *next state over*!”, he said yes. They drove eight hours round trip that day, road trip extraordinaire. I was on a business trip somewhere and they got such joy out of calling me and telling me where they were. They still talk about that day and, when they do, they still laugh about it. Total cost of that lifelong memory: Gas, and two stops at a Dairy Queen for road food. Easier surprises are things like mom suggesting we build a fort in the living room and then telling the kids they can sleep there tonight. Yes, they’ll probably be up at midnight asking you to take them to bed, that doesn’t matter, it’s the adventure of it, the break from routine. Waking them up with fresh hot pancakes tomorrow, that’s a nice surprise. It’d set a fun tone for the weekend too. The biggest surprise we ever pulled off was when we told our kids we were going camping, and when we got them in the car, pulled out the passports and told them we were travelling to a foreign country instead. I LOVED that moment! That kind of adventure clearly takes planning and resources, but you’d be surprised at what you can pull off with Groupon Travel and airbnb.com. We spend so much of our lives planned and prepped down to the minute, I get it, we have to, or we’d die. But, every once in a while, let your guard down and let in the unexpected. Go have some of that this weekend.